The decades following WWII saw the continued demand for new housing, though much that was built was of mediocre design and construction quality. Amongst the exceptions were the ‘Span’ developments designed by Eric Lyons. These provided high density, low rise housing set in mature landscaped surroundings. 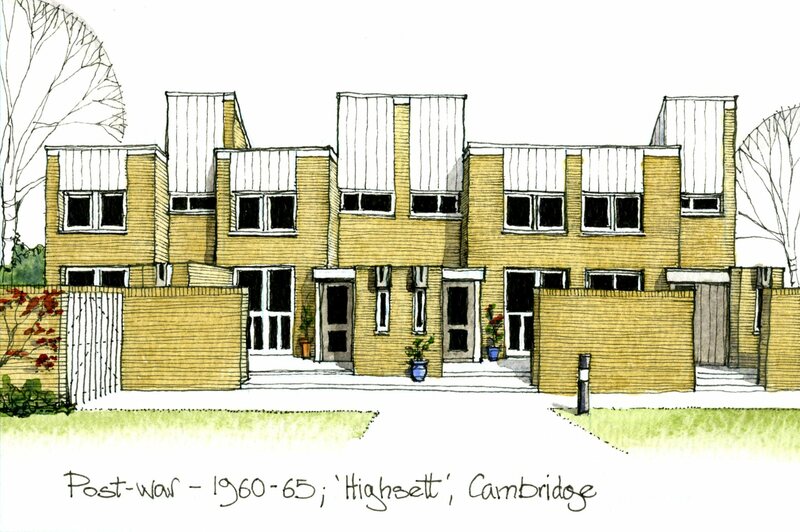 The Span development at Highsett in Cambridge was completed in 3 phases between 1960 – 65. 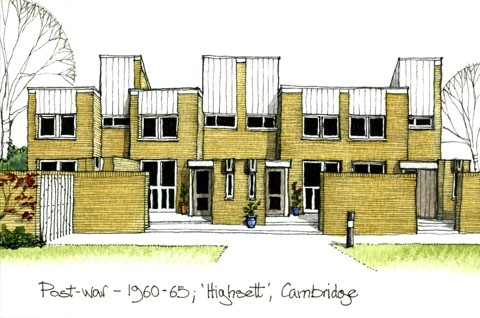 The first phase comprised a block of 3 storey flats and maisonettes arranged in college ‘court’. Phase 2 added three terraces of two storey houses and Phase 3 (illustrated here) added a further range of two and three storey houses. Phase I is now listed Grade II and Phase 3 received a RIBA award in 1966.